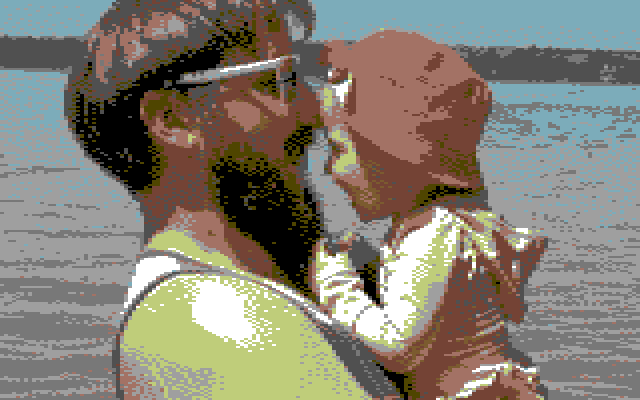 Commodore 64ing yourself feels exactly like what I think it might feel exactly like to go into the grid. I’m going to take Alice with me. So, the first and possibly only tool you need to use is the c64 yourself page provided in the Daily Create directions for the day. But when you watch yourself enter the grid, the process looks like entering the future and the past at the same time which is awesome so I wanted to capture that as well, not just the final product. Enter another tool: Gyazo. This one allows you to record screencast GIFs . I’ve used it before to record little bits of how to do things in our learning containment system. You only have five seconds, so it’s a fun exercise in what you can do with strict limitations. Look, Katie and Lucy came into the grid too! We all live here now. This post was originally published here, but I am cross-posting it here for maximum blowhardiness. 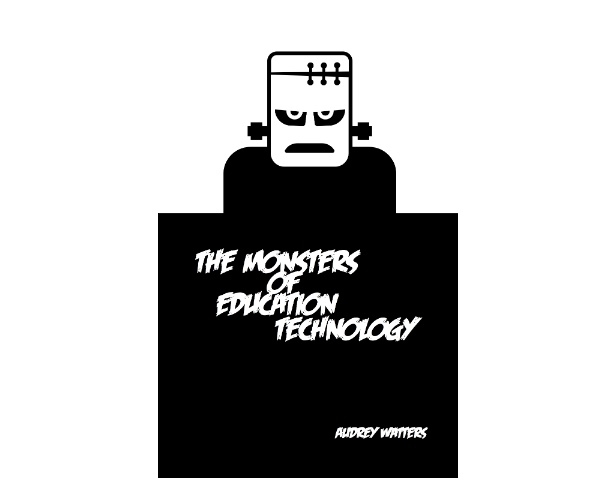 I am currently reading, as a little bit of professional learning, The Monsters of Educational Technology, by Audrey Watters. I’m convinced you couldn’t find a better person to have a critical eye on your field than her. Her analysis of the history, present and future of Ed-Tech in this book and on her blog reveals cycles of excitement and abandonment of ideas for using technology in education. Over and over. History repeating itself. Over and over. It’s very easy to get excited about new technology. It’s harder to figure out how to use it to the best of its potential for helping us teach and learn. What’s better? Someone using PowerPoint 2007 to create a beautiful visual complement of slides for a passionate talk, or using brand new Virtual Reality goggles to ‘explore’ a scene that you could reasonably go and actually explore in real life? I’m not saying VR does not have exciting potential, but it should be used for what it could be best for: immersion into scenarios in which you could not actually be immersed IRL. Like say the past, or the inside of a circulatory system, or floating above a city. Not some environment to which you can actually go. Just like PowerPoint should be used what it is best for: creating slides that are a visualcomplement to an exciting talk, not as the whole lecture itself. Cutting-edge is not better than trailing-edge unless you are using it meaningfully. Maybe it was a brilliant educational tool. I wouldn’t know because the way it was used in my school, as far as I can recall, was a few times over a couple of months. I got mildly excited when I first made the turtle create a square. But really I didn’t know why we needed to make it make a square. It just disappeared from our computer activities when the shine wore off. Perhaps if they stuck to it a little longer, I could have experienced the real brilliance of it. They were excited to get us coding… for a little while and then it went away. Ultimately it’s my own fault to not yet have the skills I wish I had. I just wish now that they went a little further with it. I’m guessing you can recall hearing reports or seeing articles in your recent past about the need to teach our children coding and programming. Ads for coding bootcamps for kids maybe? History . I do think it’s a great idea. I hope we can stick to it a little longer this time. I don’t want to say that I think it would have been better if they never gave us the LOGO opportunity at all. I think of that little turtle fondly. I just wish I had the chance to get to know it better. What I’m trying to say is this: take the time to think about how you can meaningfully use the new technology that you are excited about before you begin working with it. And if you decide to use it, keep pushing through a little more once the excitement fades. Revise and re-implement and only abandon when you truly have found something else that works better, not just another new shiny thing. If you have a look at https://www.daysoftheyear.com, you’ll see that every day has 3 or 4 themes to it which is absolutely ridiculous, so I am reclaiming today as just a day. Today is henceforth Today Day. Locally, provincially, nationally, internationally, globally, universally. Do your own thing. Enjoy doing what you do. Wherever you go, you are your own Today Day Parade so throw a little swagger in your step. Have a great Today Day today! My defining moment happened on an unusually nice and sunny March 5th, 2006. 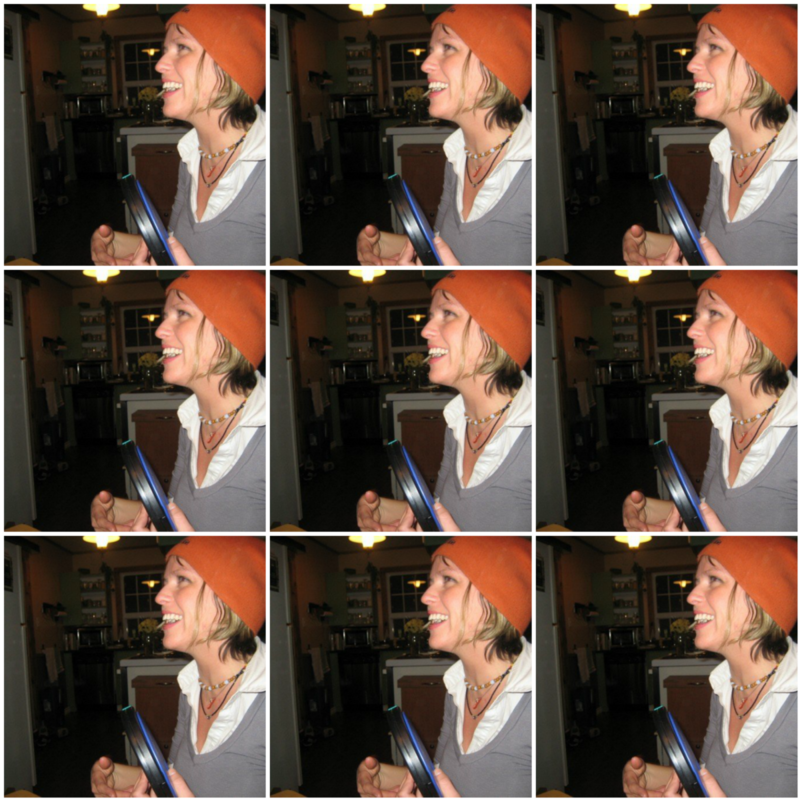 A beautiful, wonderful woman showed up for an Internet-enabled date in an orange toque. 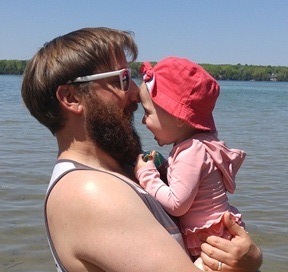 We’ve been sharing our lives ever since and I love it.